Companies including Uber that depend on workers classified as independent contractors are lobbying for laws to protect that system. Meanwhile, a California court ruling sides with workers who sued, saying they should be considered employees of the companies. These are the potential threats that worry Claire Gartland, of the Electronic Privacy Information Center, about former Uber employees’ description of how the ride-hailing giant handles customer data. Access to the data also could allow other governments or criminals to spy on politicians, she said. “The idea that Uber is so cavalierly taking very little responsibility for protecting your information should be concerning to everyone,” she said. Uber’s reach is vast. It has more than 40 million users and operates in dozens of countries, including Brazil, Russia and Singapore. And this is not the first time privacy concerns have been raised. The Electronic Privacy Information Center, or EPIC, filed a complaint in June 2015 calling for a federal investigation into Uber’s data collection. 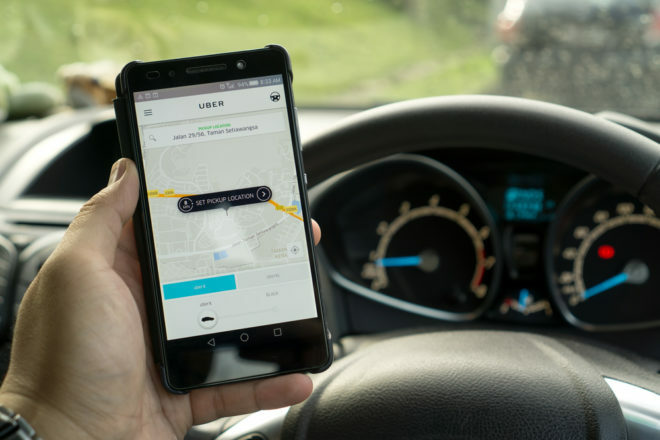 Gartland, director of EPIC’s consumer privacy project, said the Reveal story raises questions about whether Uber is adhering to its January settlement with New York Attorney General Eric Schneiderman that required the company to limit access to location information. “It seems like they’re just completely ignoring their legal responsibilities,” Gartland said. Uber declined to provide Reveal with more details about how it restricts access to data. The company has instituted reforms in recent years, like a pop-up message warning employees not to abuse their access. But the security sources, including former forensic investigator Ward Spangenberg, say Uber’s policies ultimately don’t prevent employees from getting and misusing the private information. In 2014, the company came under fire for its internal “God View” tool, which provided an aerial view for tracking customers in real time. “It’s pretty problematic that after having a huge controversy over ‘God View,’ Uber’s response was not, ‘Let’s put in access controls.’ It was more of just changing our policies, saying, ‘You shouldn’t do this,’ ” said Chris Conley, policy attorney for the ACLU of Northern California, in reaction to Reveal’s story. California lawmakers also said they were taking notice, including Sen. Hannah-Beth Jackson, chairwoman of the state Senate Judiciary Committee, which handles privacy and consumer issues. Will Evans can be reached at www.revealnews.org. Follow him on Twitter: @WillCIR.